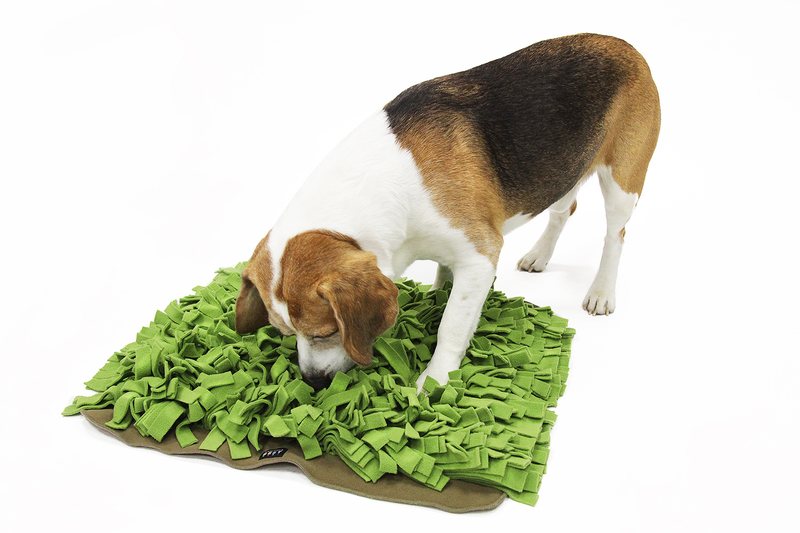 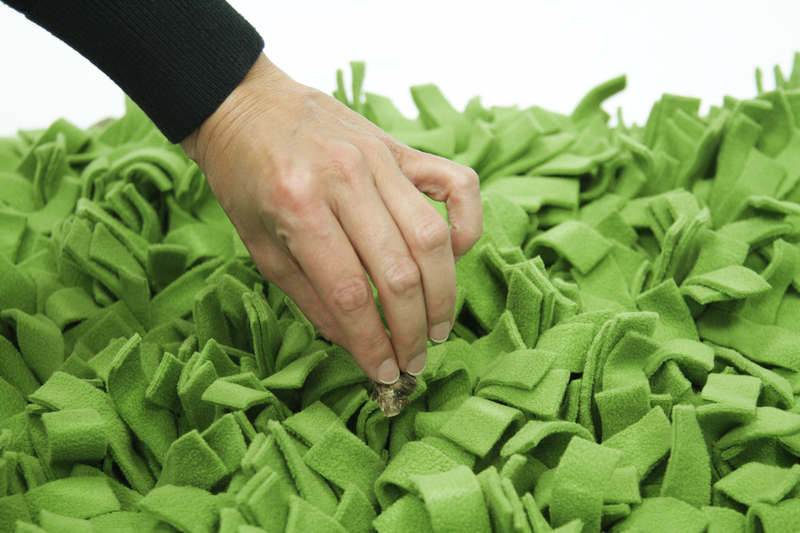 A must-have for dogs – An incredible sniffing experience in limited spaces! 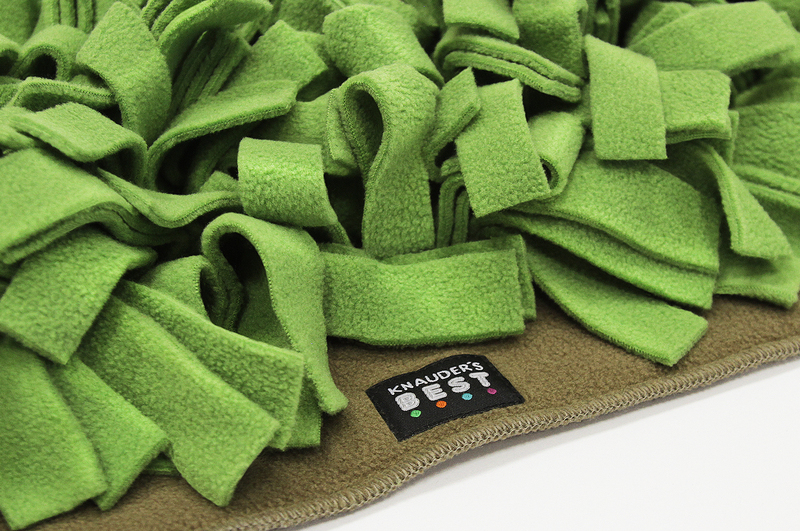 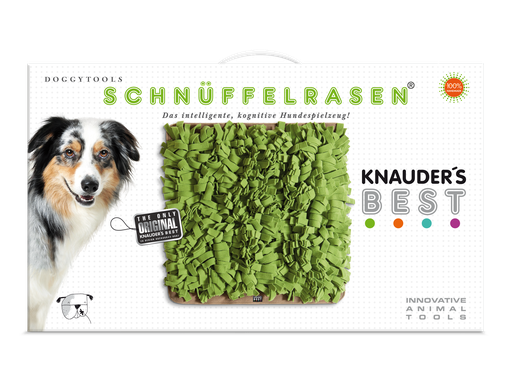 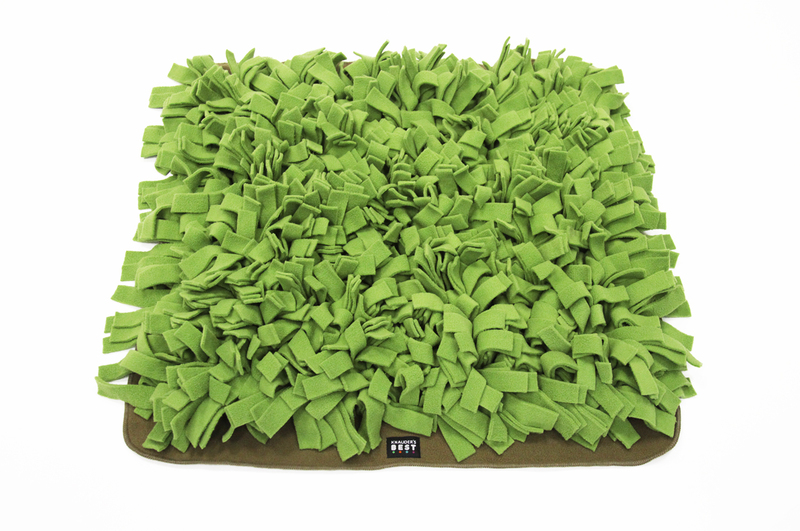 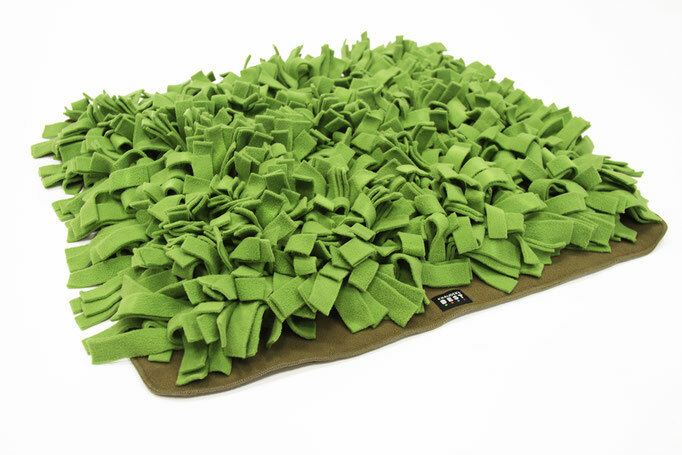 The unique and effective high-quality design of KNAUDER´S BEST Schnüffelrasen (EU Design 002636944-0001) enables dogs to reach their full potential whilst simultaneously building trust with their owners. 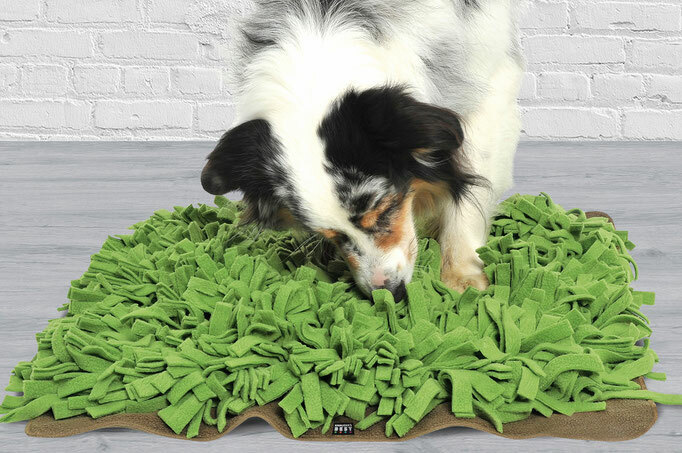 The design and volume of the Schnüffelrasen is suitably designed to provide perfect hiding places for treats, according to your dog’s level of scent detection ability. 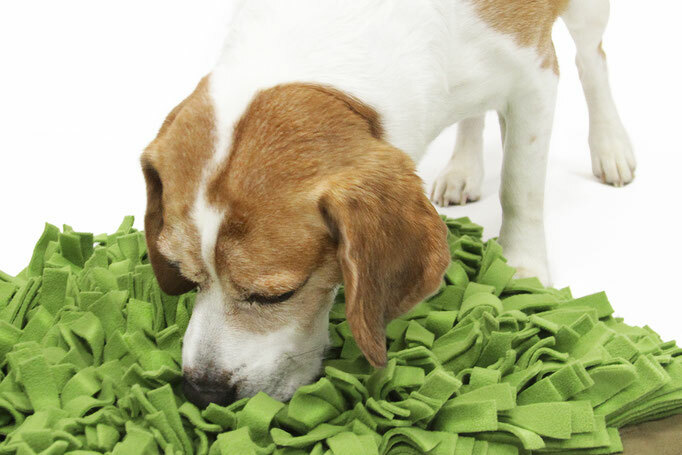 A mere 7–10 minutes of play per session is enough to significantly develop your dog’s cognitive and sniffing skills, whilst providing a challenging and efficient way to develop and strengthen your friendship. 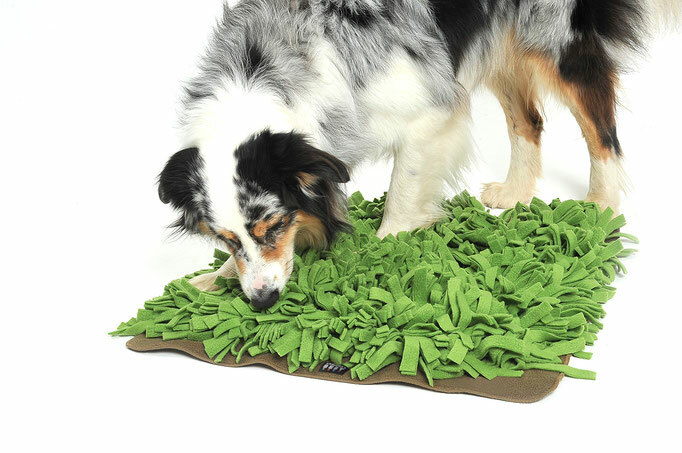 Thanks to the Schnüffelrasen’s compact design, it can be taken with you and used anywhere, making it perfect as an on-the-go activity for your dog, regardless of its age or constitution. 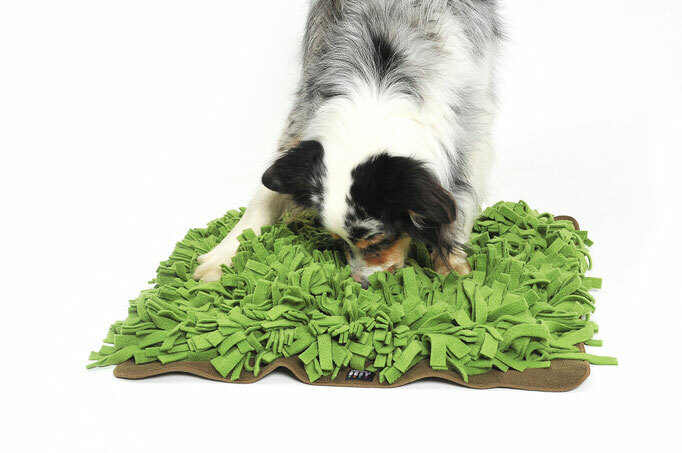 Even dogs who are allergic to grass-mites can enjoy their sniffing experience, and in the mid-winter your pooch will still get the chance to train his senses. 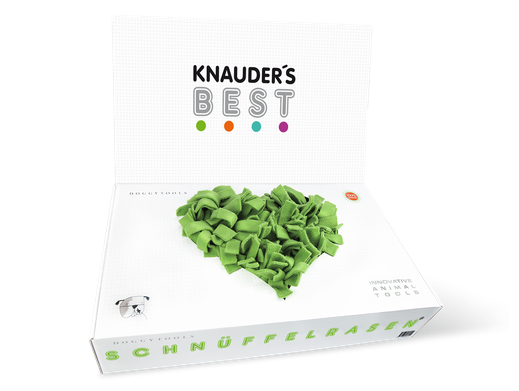 At KNAUDER´s BEST, all our products have been specifically recommended by experts, and our experienced quality control department ensures that all products are carefully designed and tailored to meet the needs of your little companion. 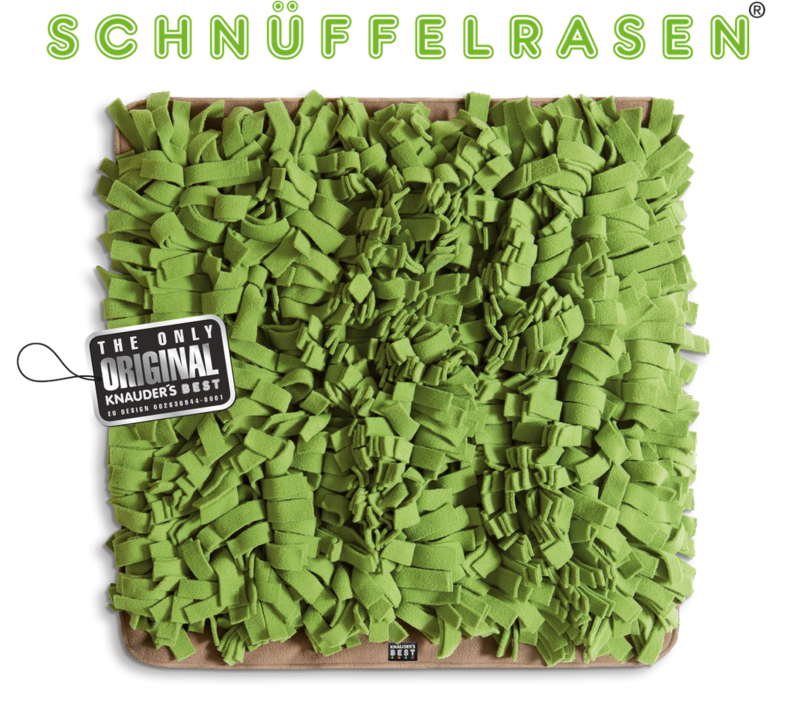 • Unique on the market. 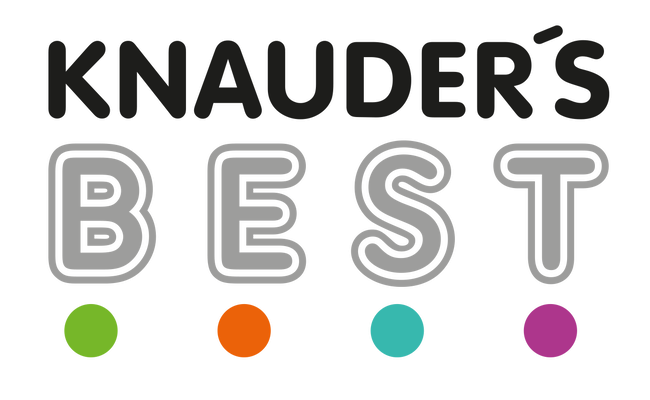 Patented KNAUDER´S BEST design.